Commander players, just in case you needed it, we’re giving you one more reason to pre-order your Commander 2018 decks from us! 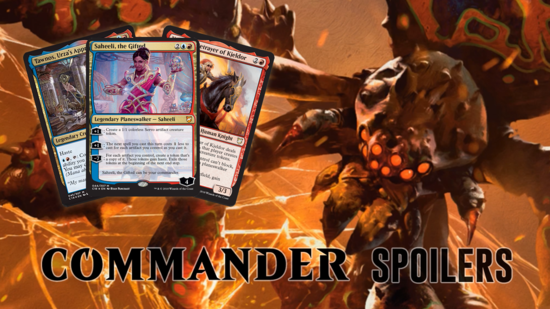 On Saturday August 11 at noon, we will be hosting a Commander 2018 Launch event. What is this splendorous Commander event? Quite simple! Tables of 3-4, 2-3 rounds. Last player standing at each table gets a prize and advances. Eliminated players get free entry into our weekly league (and all the benefits that come with it). Prizes get better each round! If you order all 4 decks from us, the event is free! Buy 1 deck, get in for $5. Otherwise the cost is $10. So come on out and play some Commander!